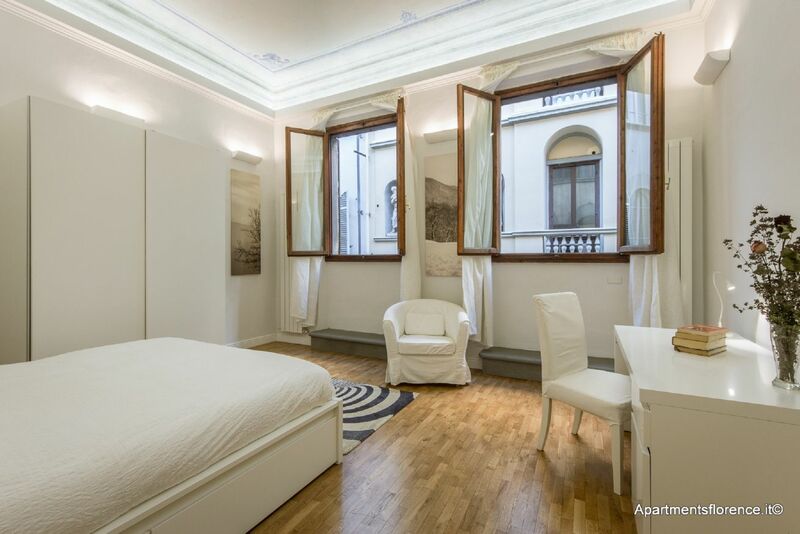 This property is located in a super central location on Via Sant’Egidio – a 2-minute walk from the Duomo, a 7-minute walk to Santa Croce. 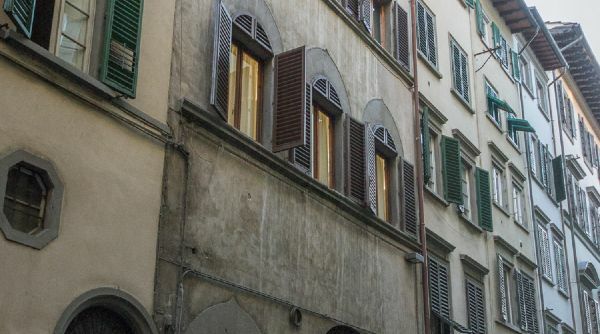 Its prime location in the heart of Florence, close to all the important cultural and touristic spots, allows guests to explore our beautiful city thoroughly and easily. 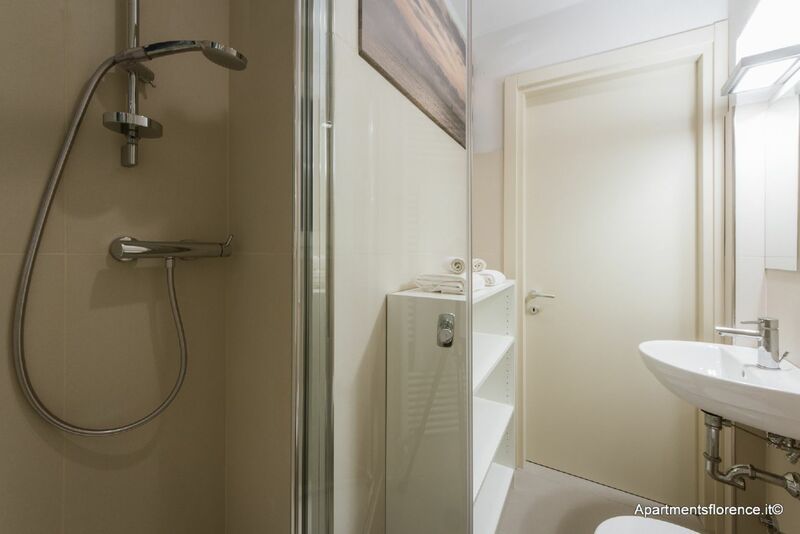 The property is located on the first floor with undemanding stairs. 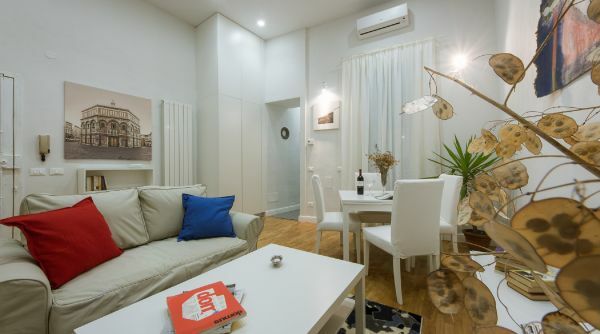 The entire apartment was completely renovated in 2016, with modern furniture in the light colour palette. 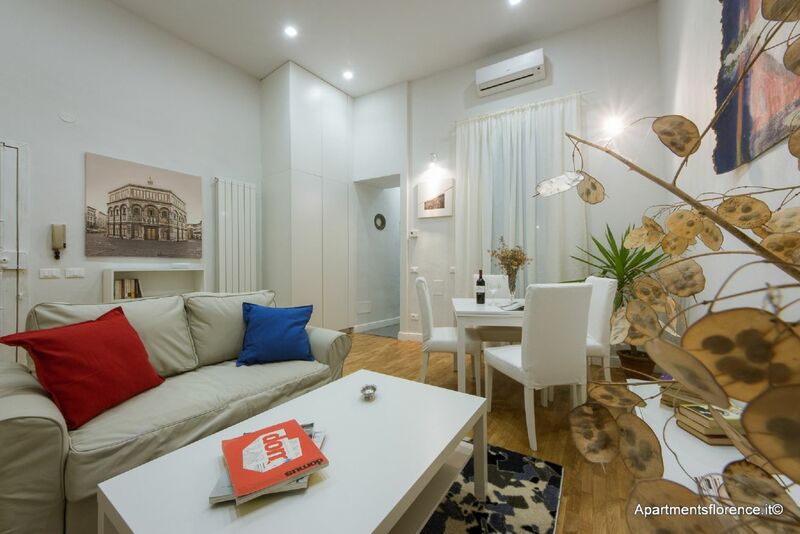 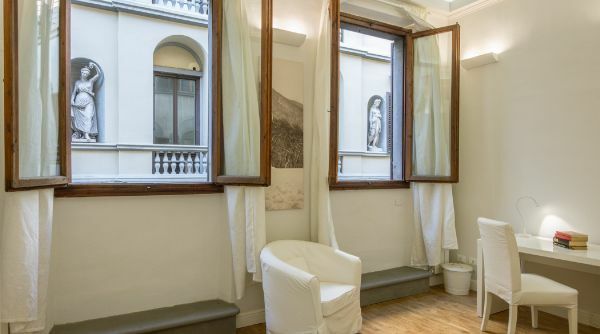 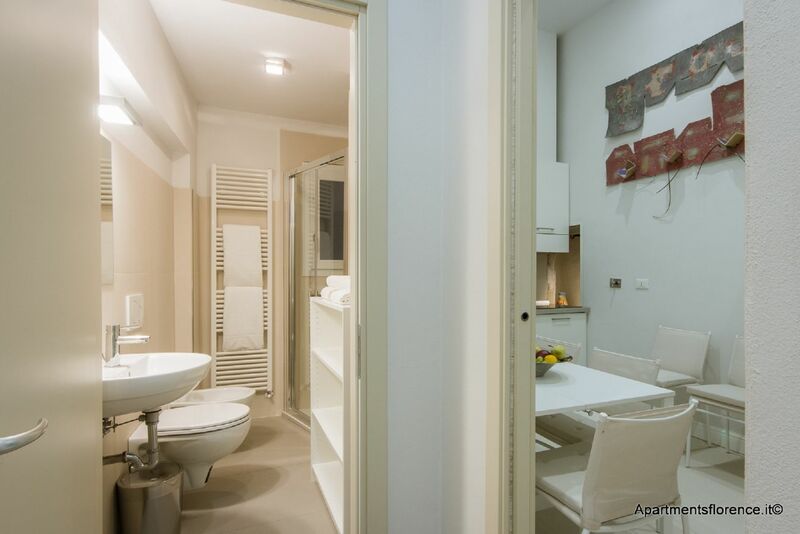 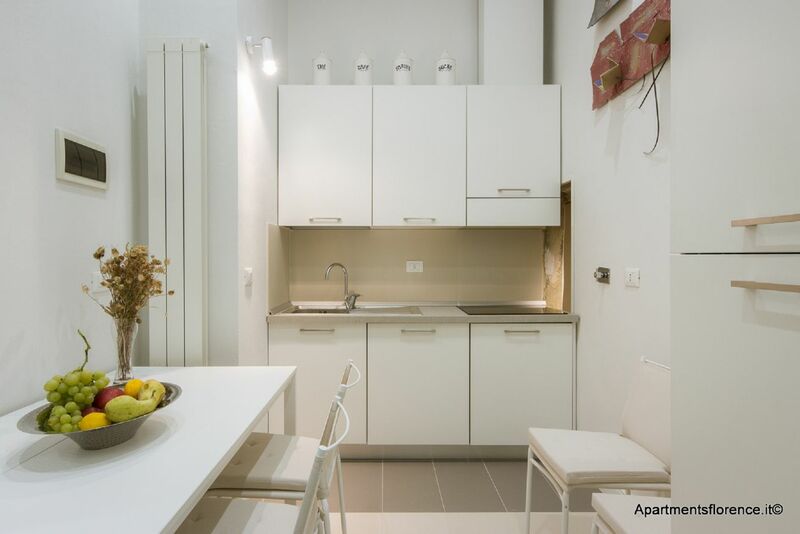 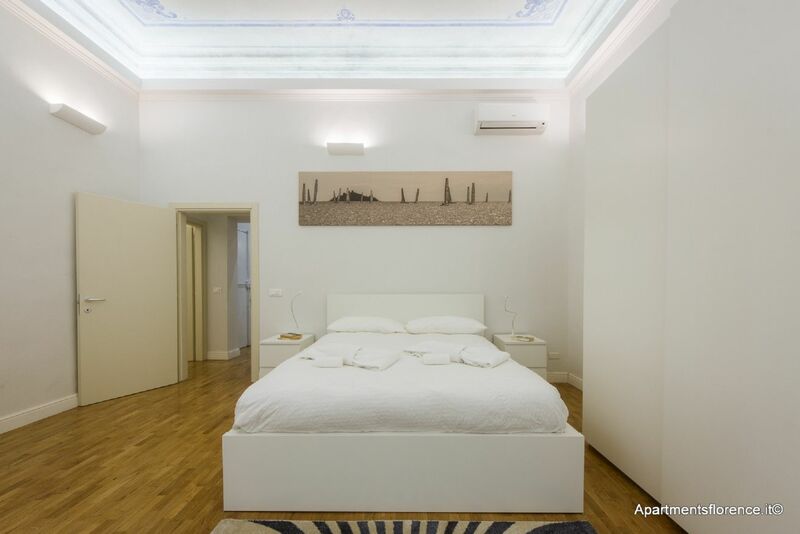 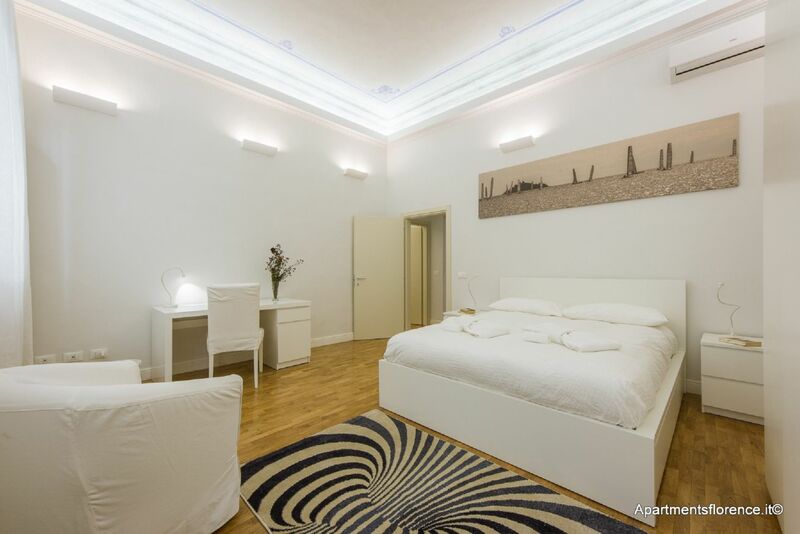 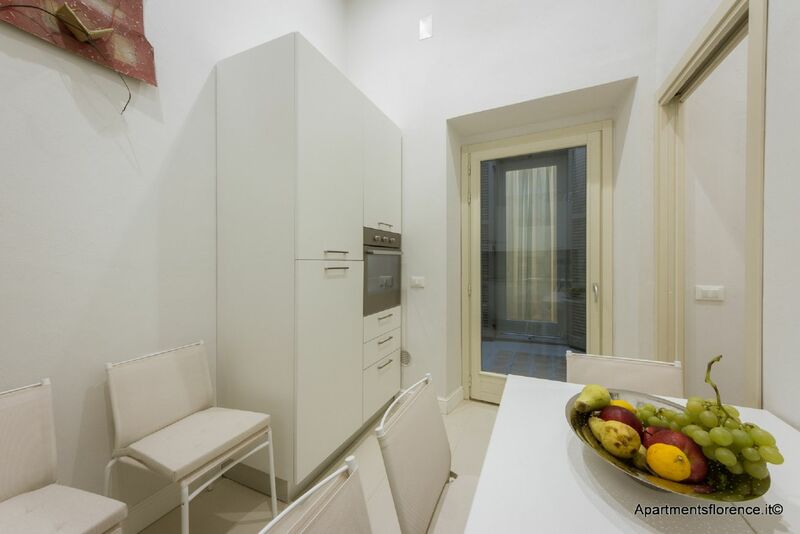 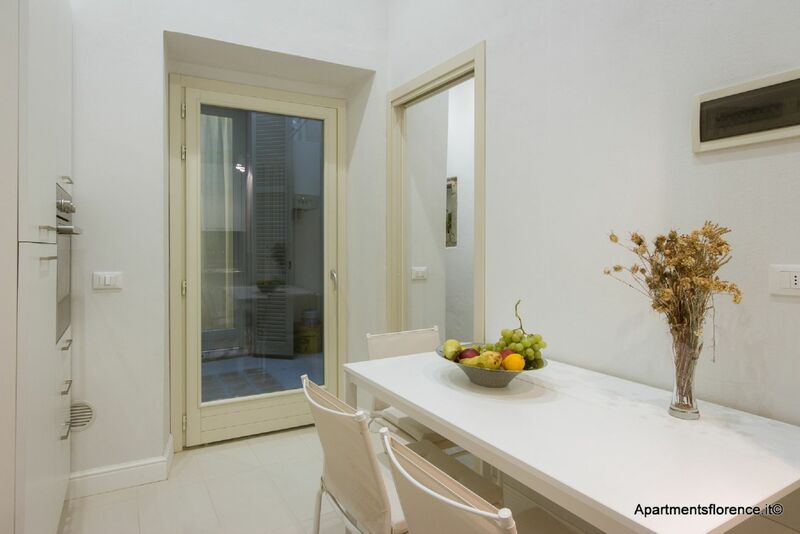 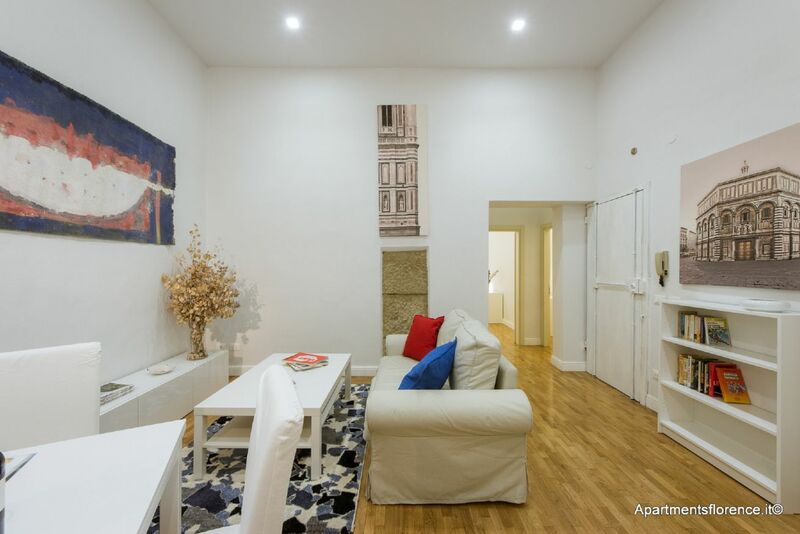 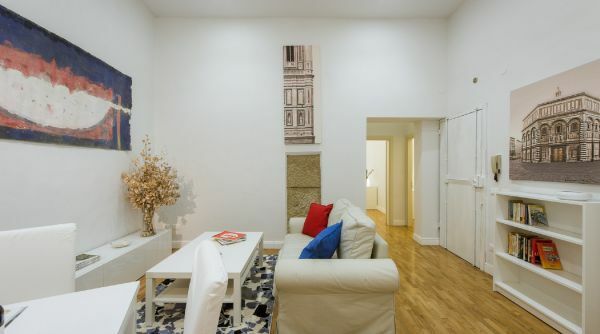 The second you walk into this apartment, you will feel an airiness and spaciousness rare to most Florentine apartments, mostly because of the very high ceilings. 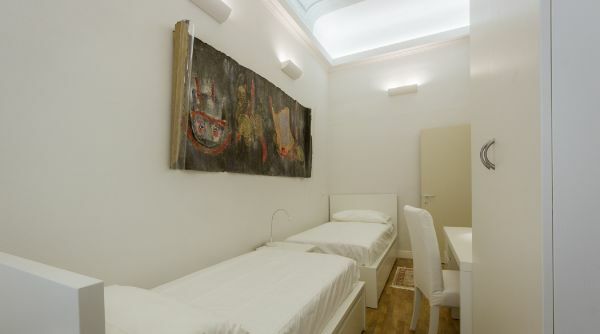 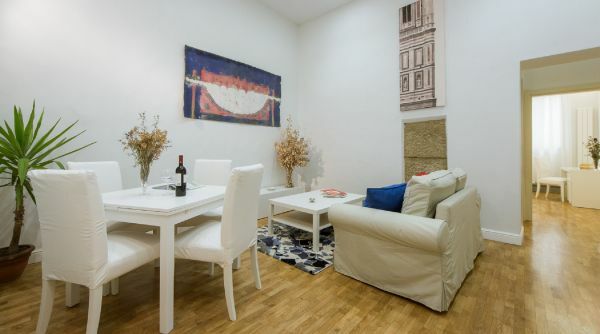 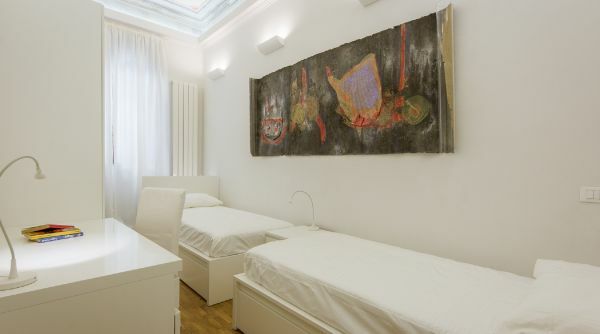 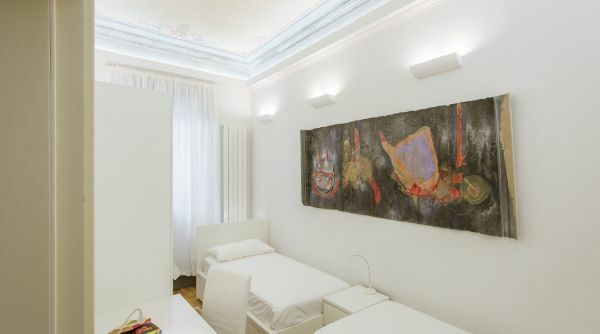 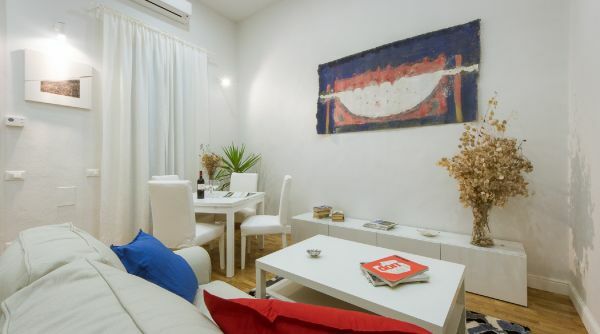 The entire space is tastefully decorated with modern art displayed on the walls of each room. 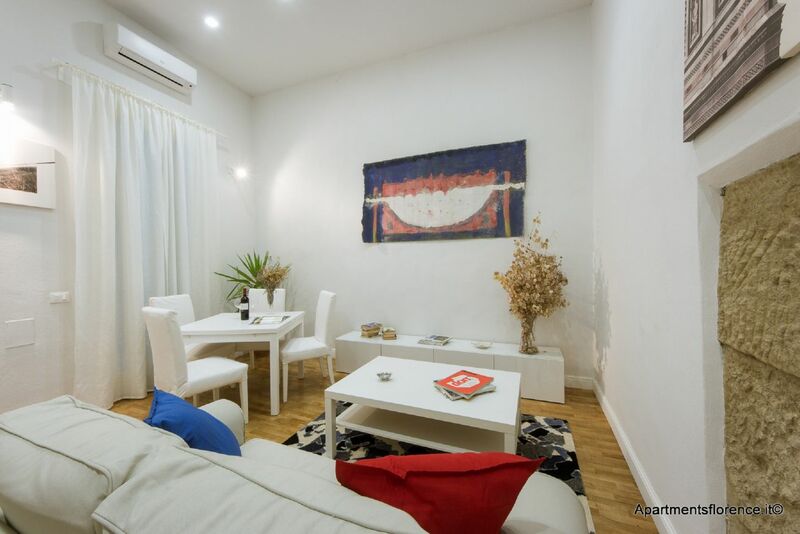 As you enter, you will find yourself in the living room which is located in the centre of the apartment – a great open space for group activities since it has a dining room table and a couch. 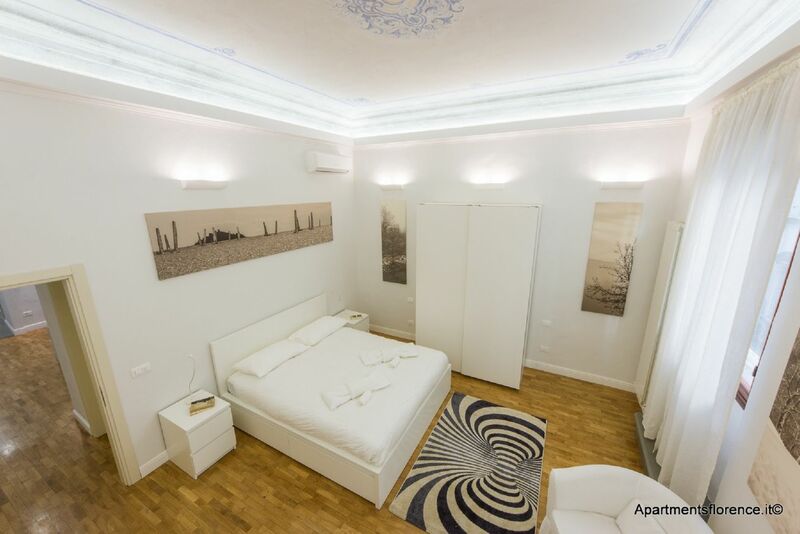 On your left, you will find both bedrooms. 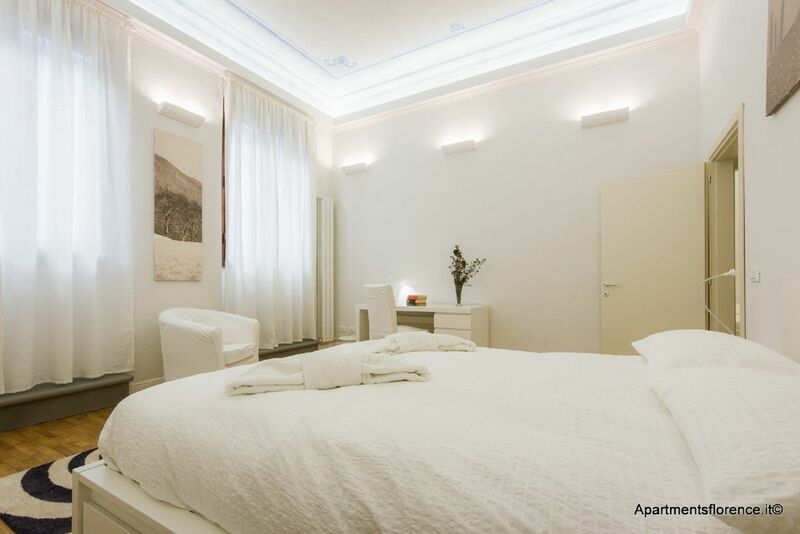 The master bedroom is very spacious and bright, with large windows that allow lots of light to come in during the daytime. 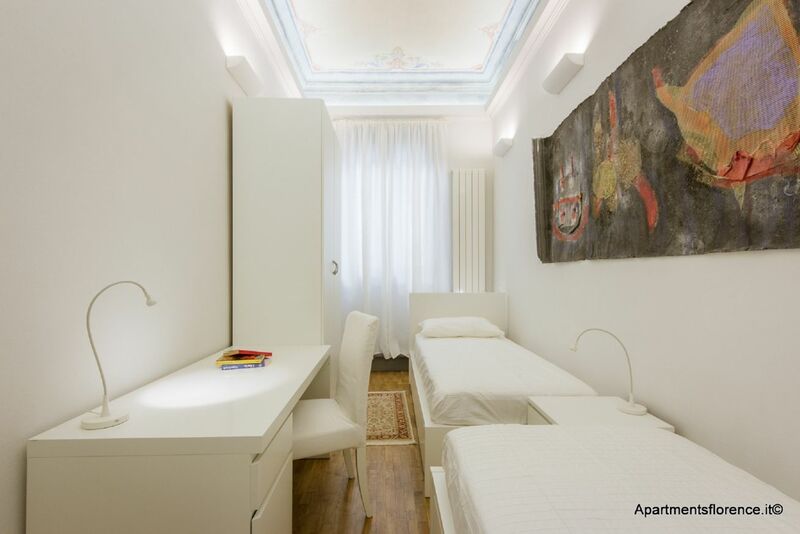 It also contains a large closet, an armchair and a desk, which makes the room very comfortable even for long-term rentals. 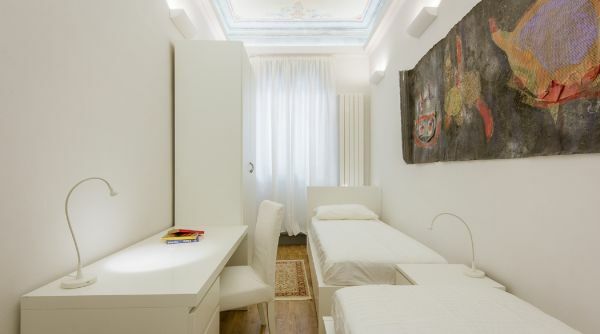 The second bedroom has two single beds which are positioned one across the other (they cannot be united), as well as a desk and a second large closet. 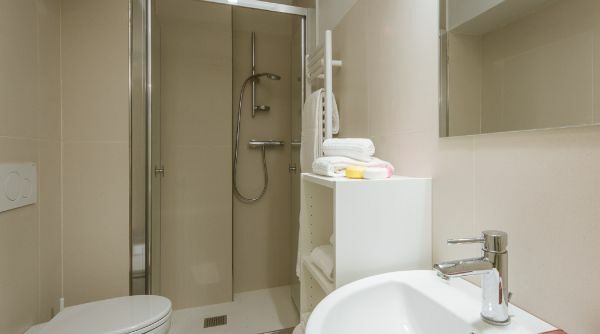 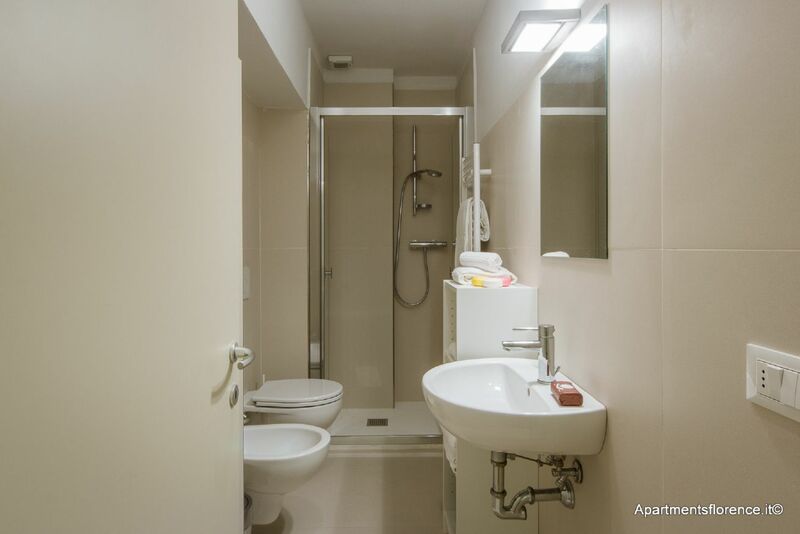 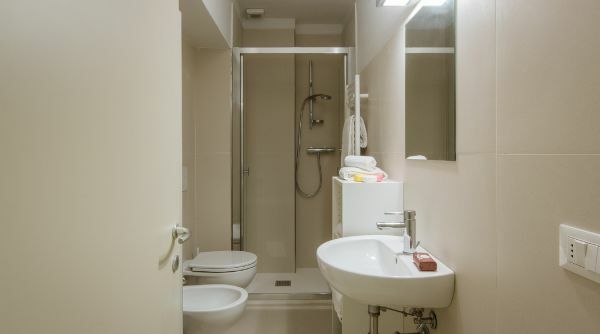 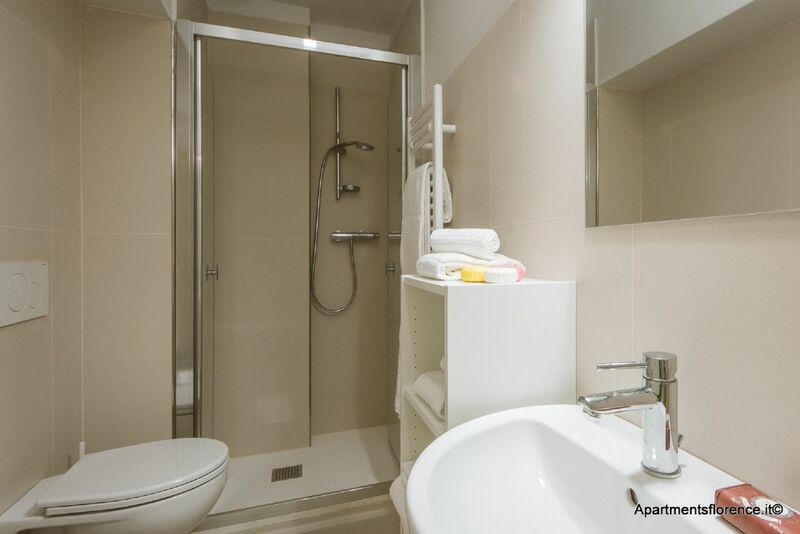 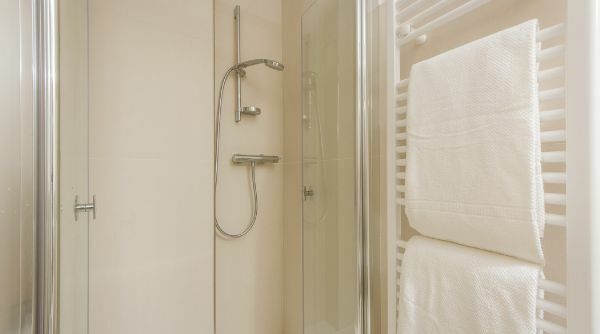 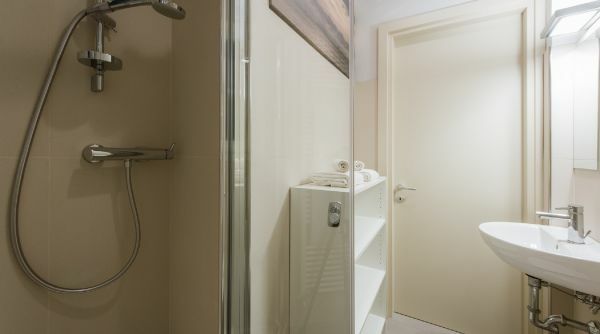 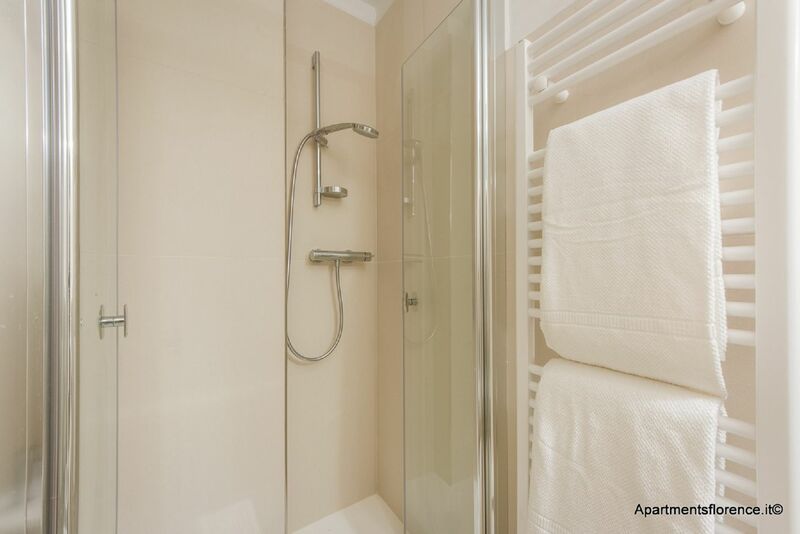 The apartment also has 2 bathrooms, each with its own shower. 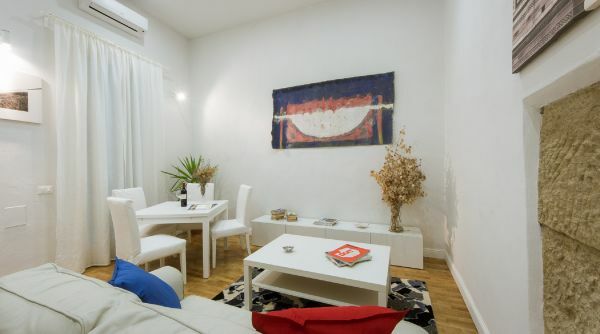 Air conditioning is present in both the living room space and the 2 bedrooms. 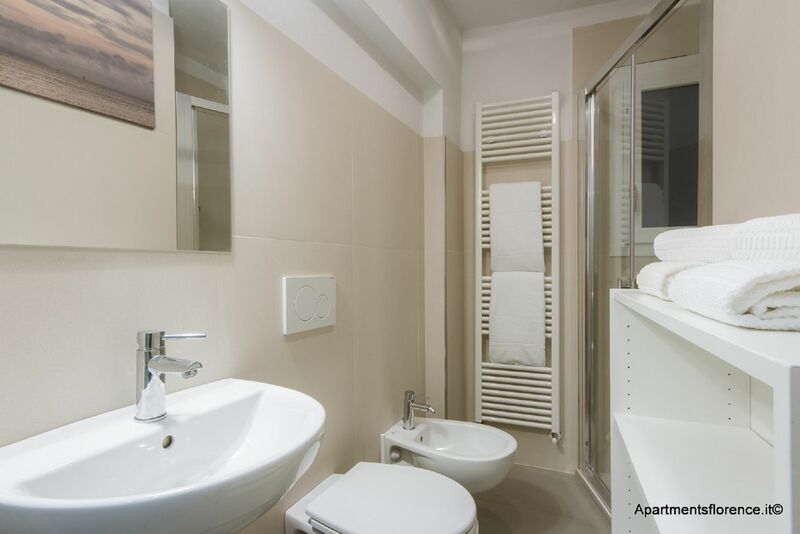 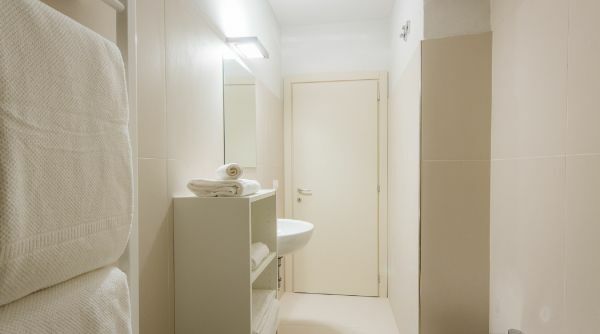 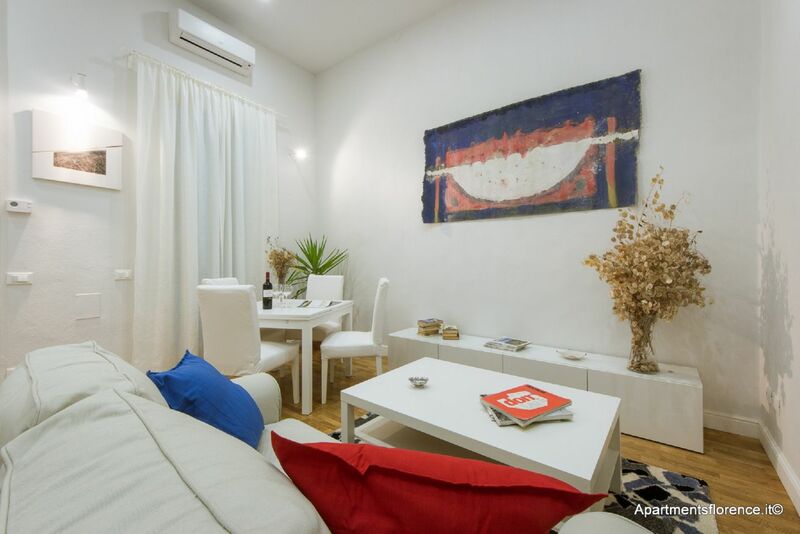 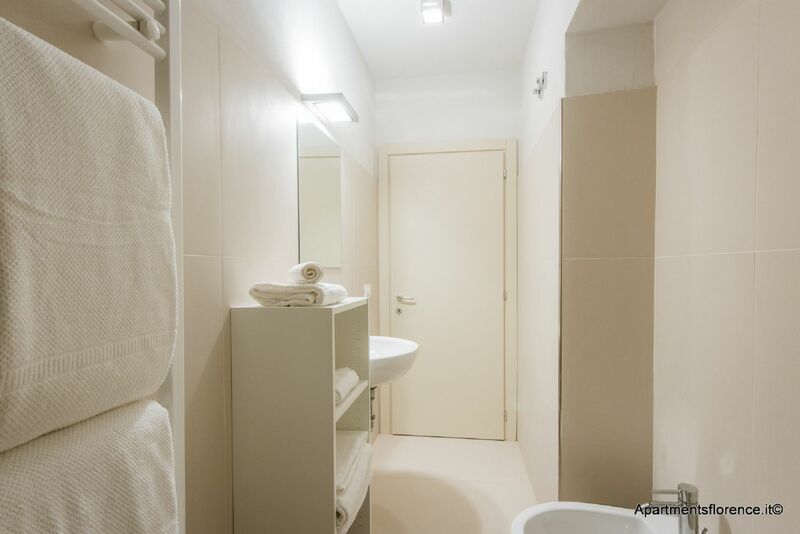 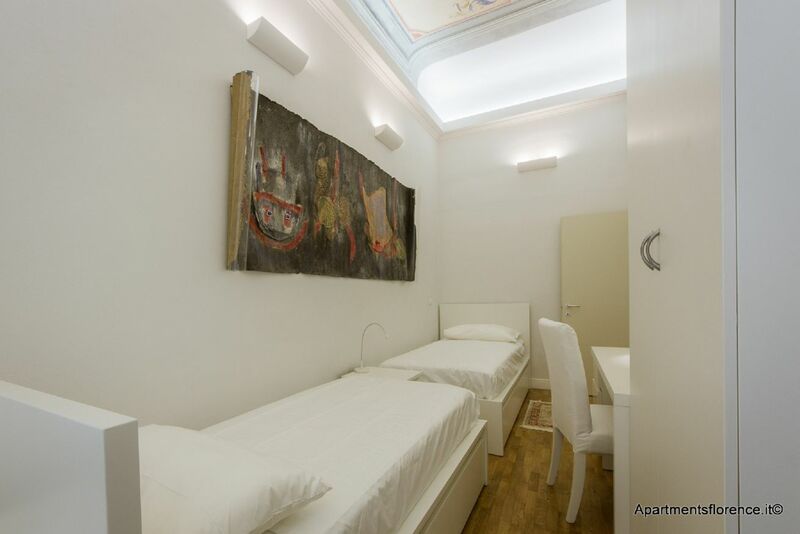 Because of these characteristics, the apartment is an excellent accommodation for both short and long-term stays for families and groups of friends. 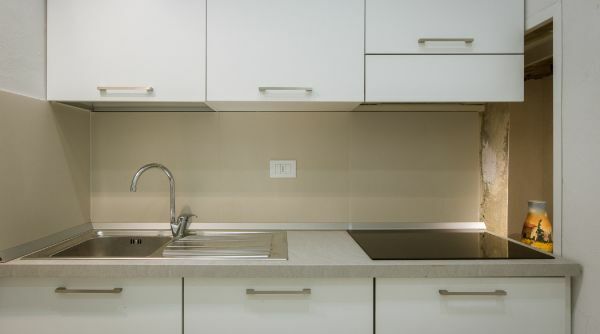 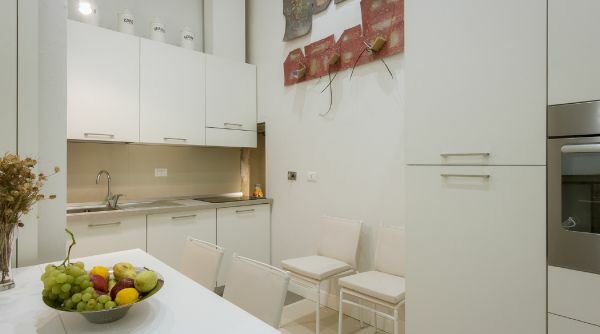 The modern kitchen is equipped with elegant white furniture and all the comforts present in a real home. 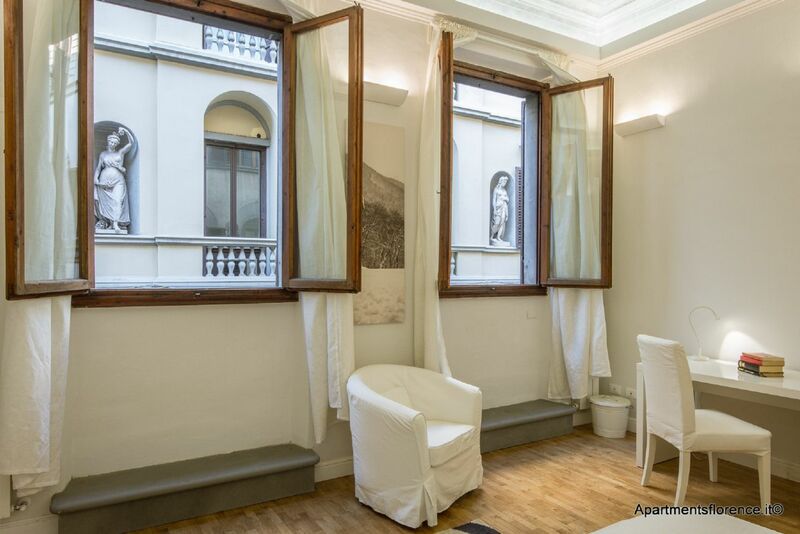 17/01/2017 - Beautiful apartment in ideal central location! 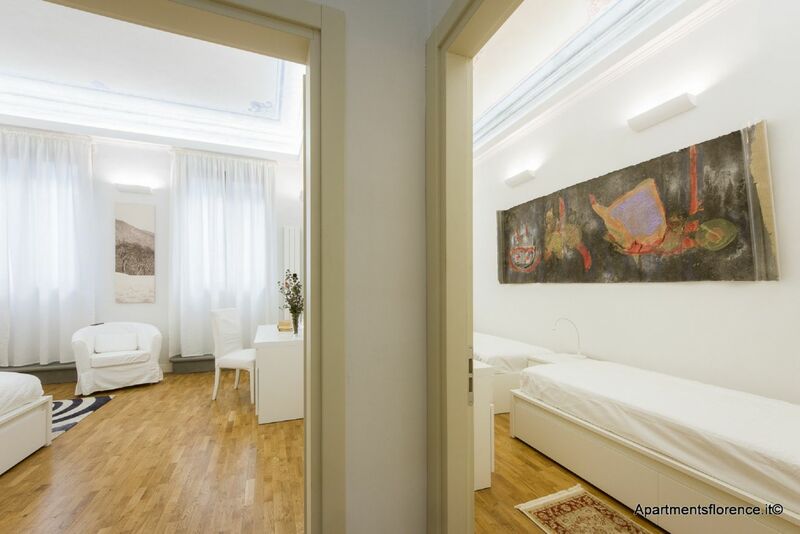 The staff at Apartments Florence is wonderful, very professional, and available for any need that may arise during your stay. 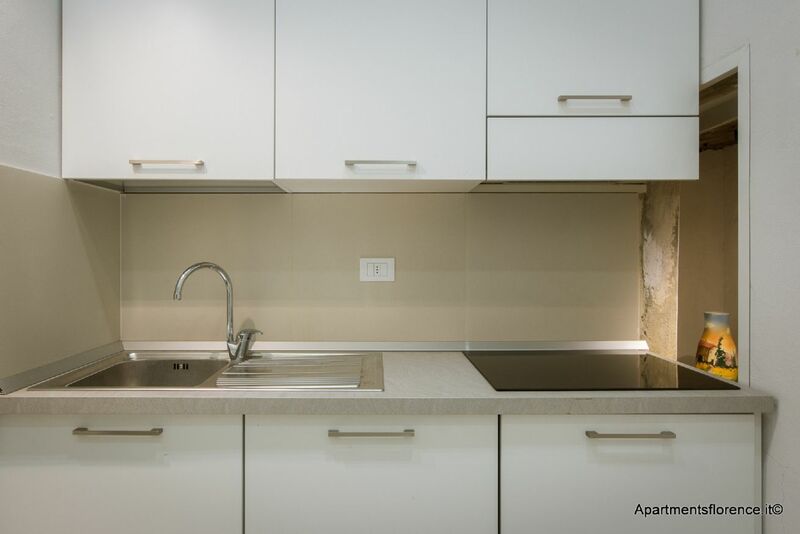 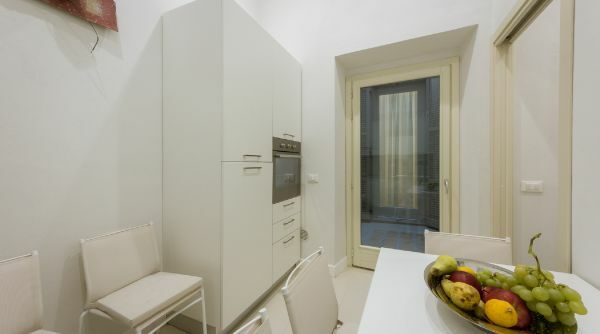 The apartment was beautiful, clean, and very centrally located. 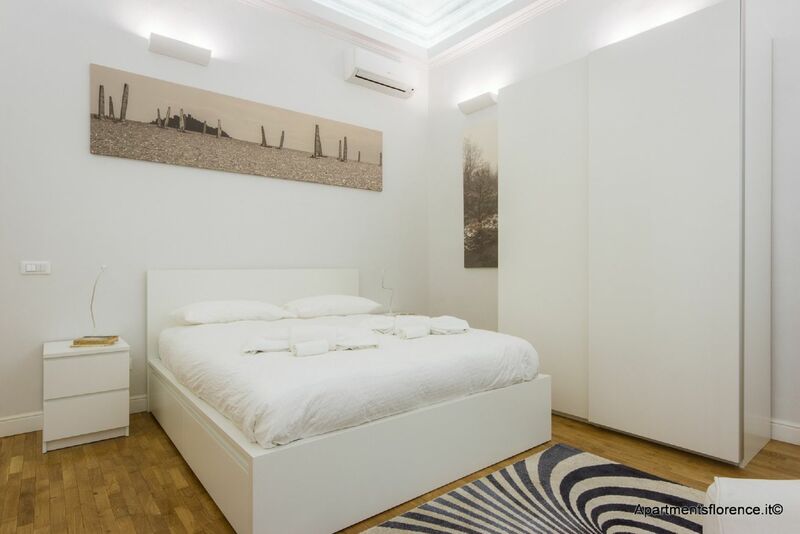 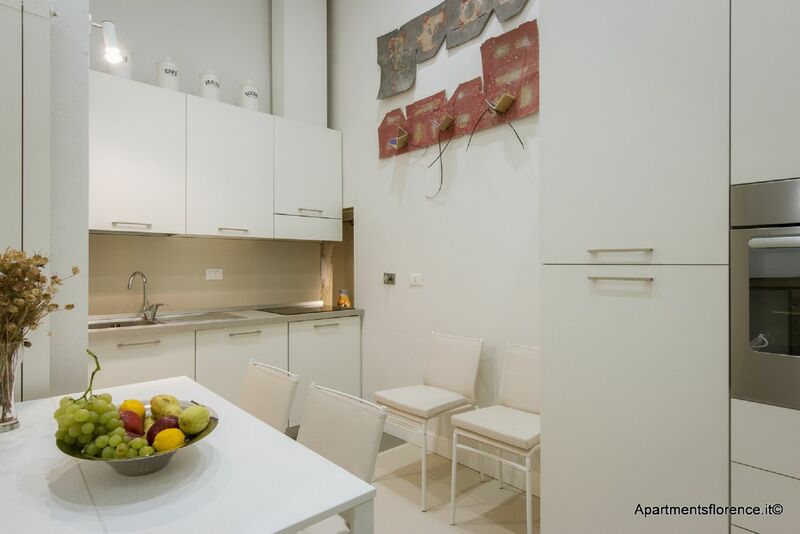 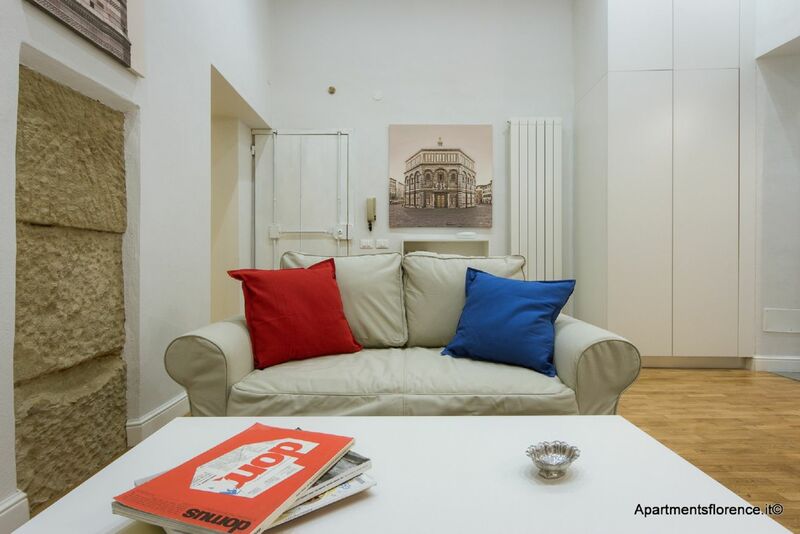 We thoroughly enjoyed our stay at Duomo Art apartment!! 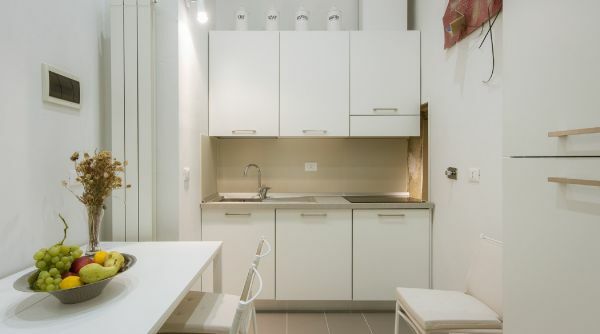 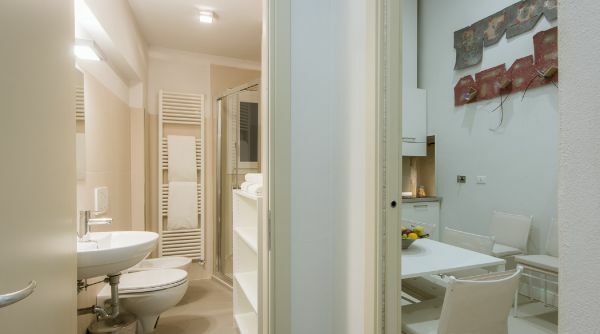 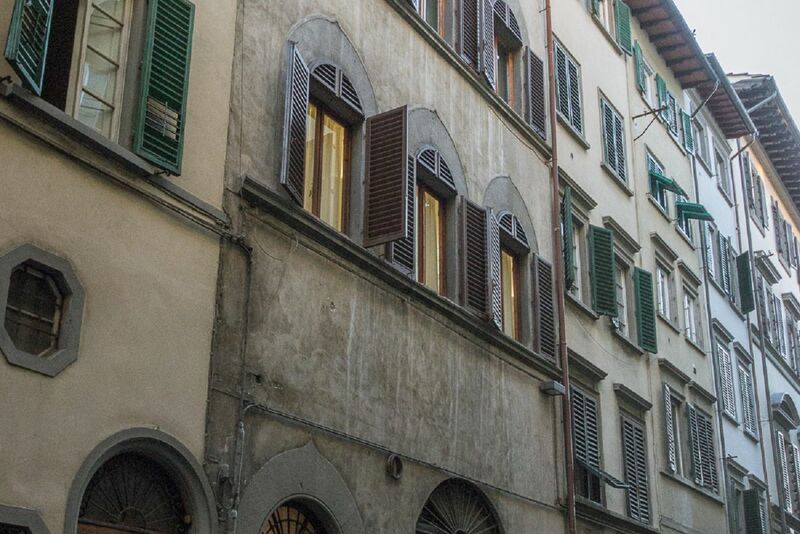 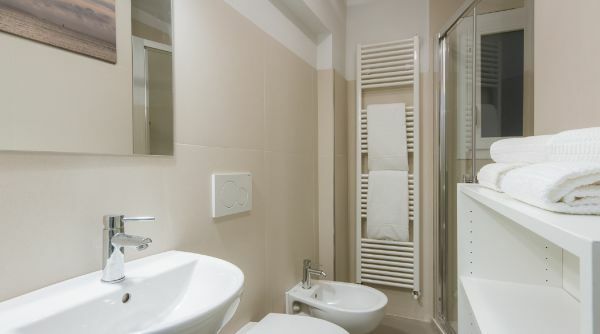 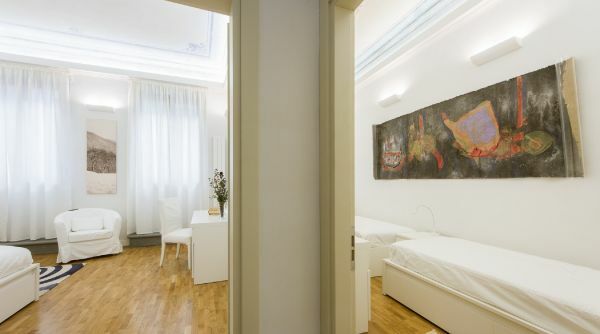 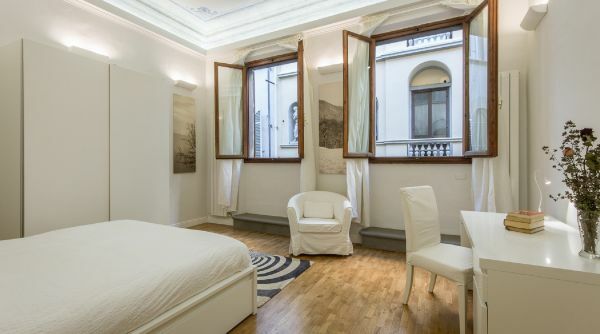 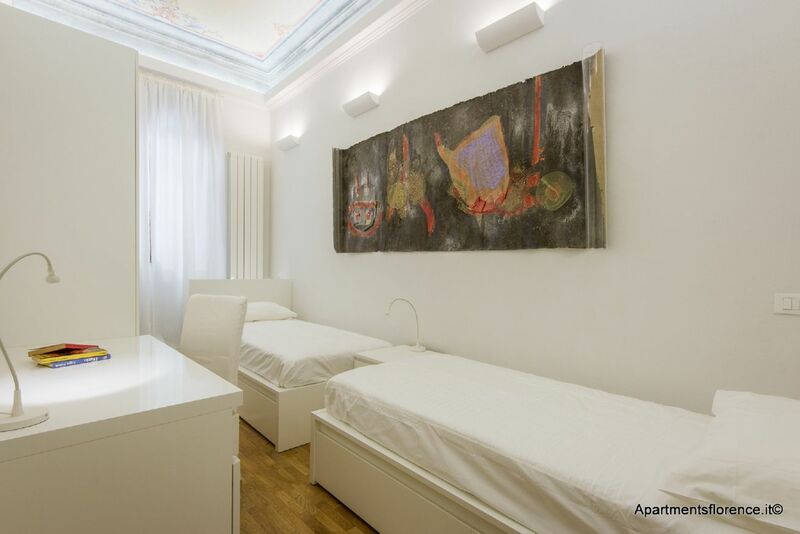 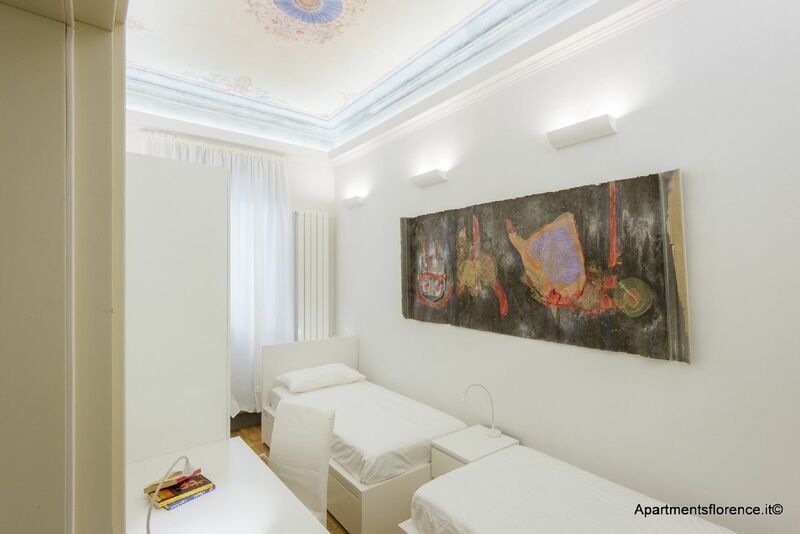 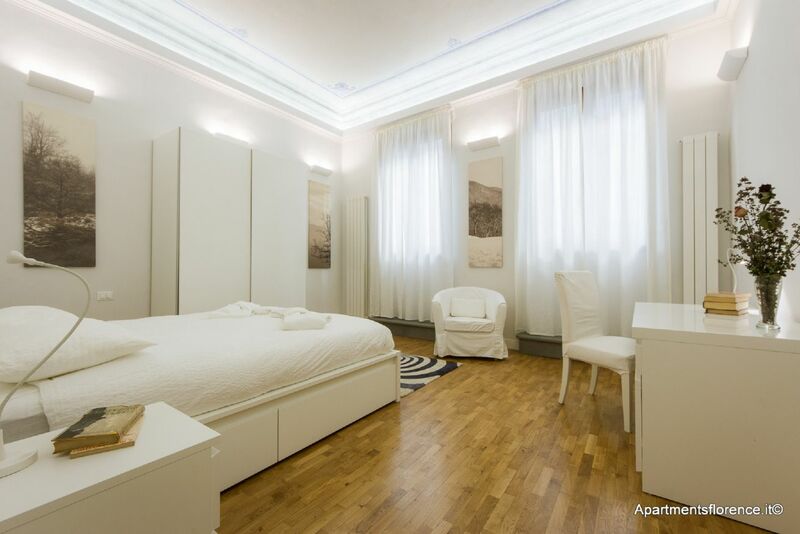 The location is right next to Piazza il Duomo, in the heart of old Florence. 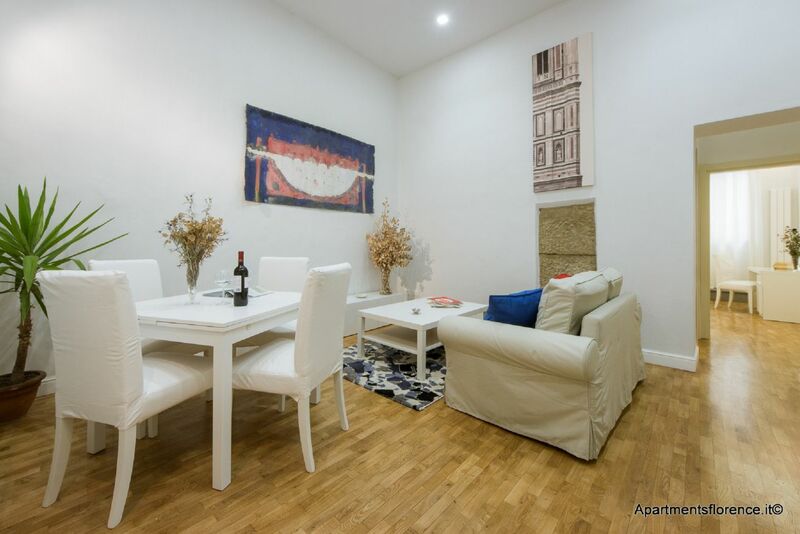 We really enjoyed out stay in the apartment, it has everything needed for day to day living and is located perfectly for sightseeing, shopping and restaurants. 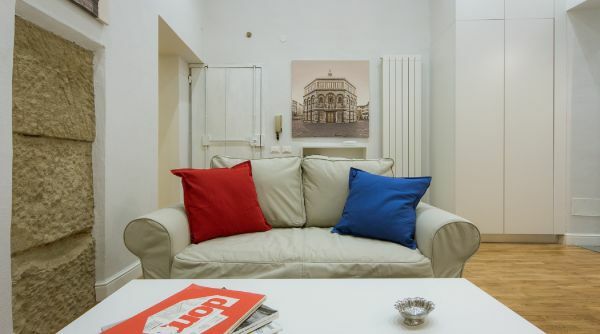 The style of the apartment is very chic and homely, we were very comfortable and can highly recommend it as a base for a holiday in Florence I would absolutely stay here again if we return!